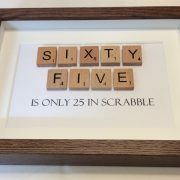 This is perfect for that big milestone birthday. 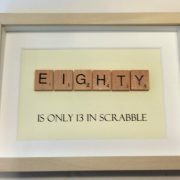 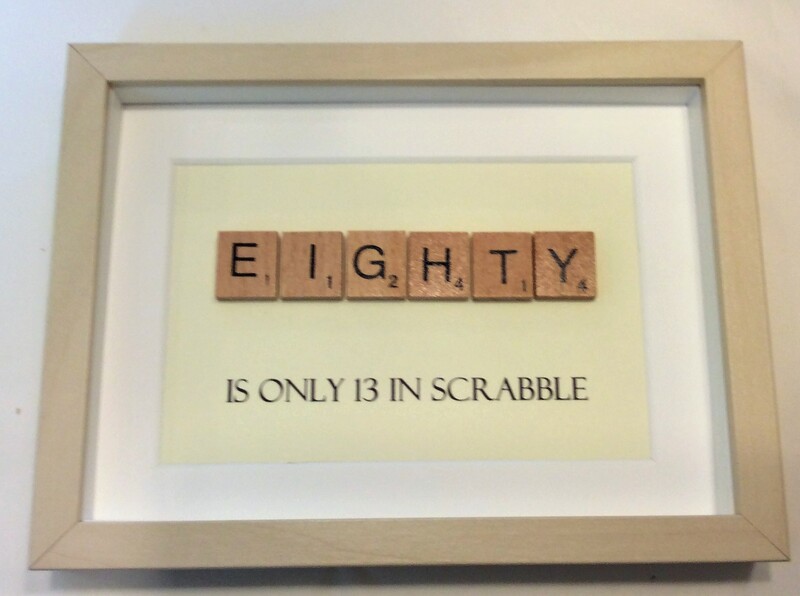 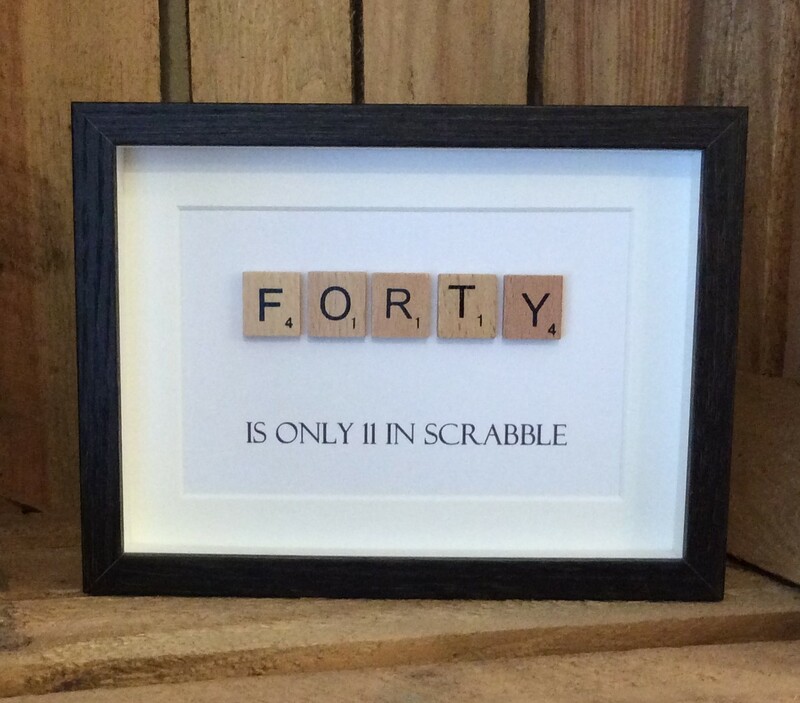 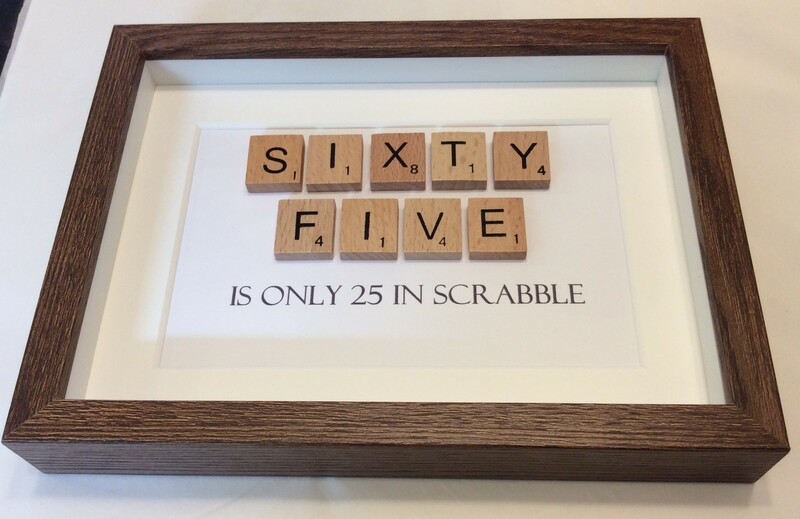 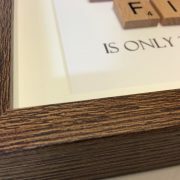 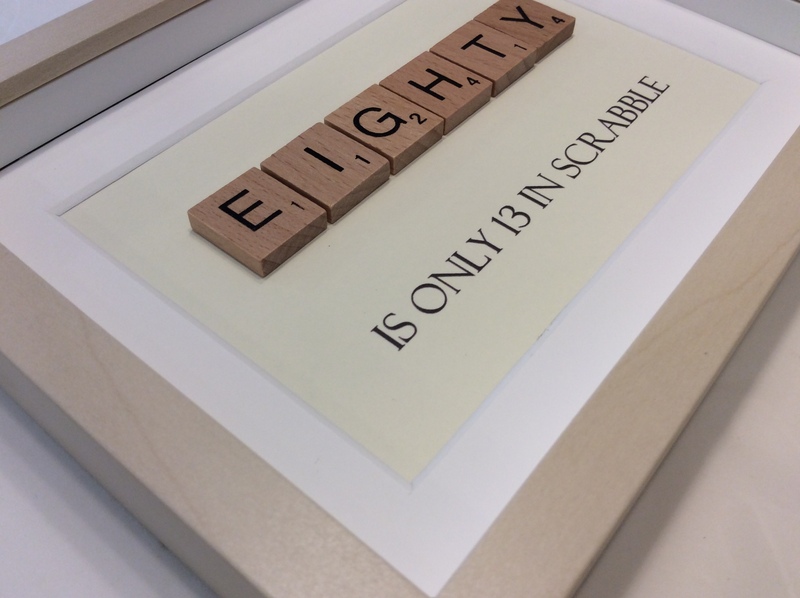 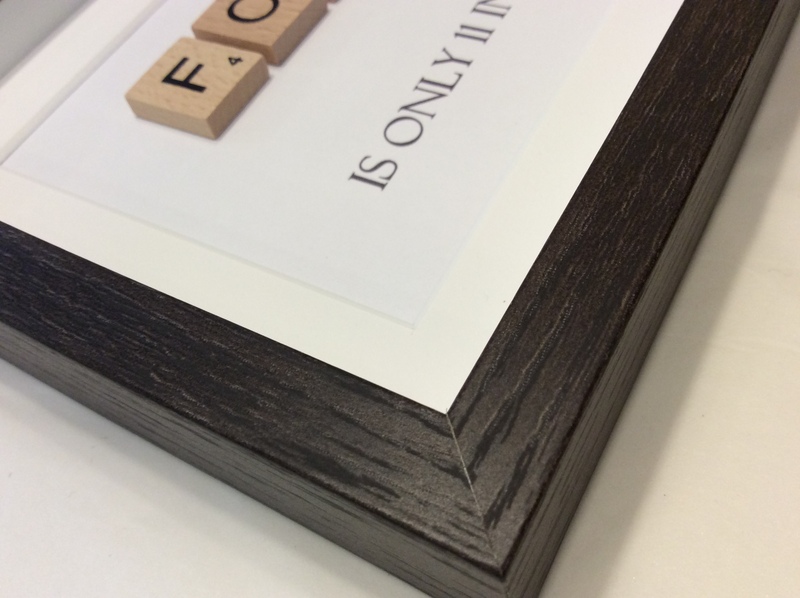 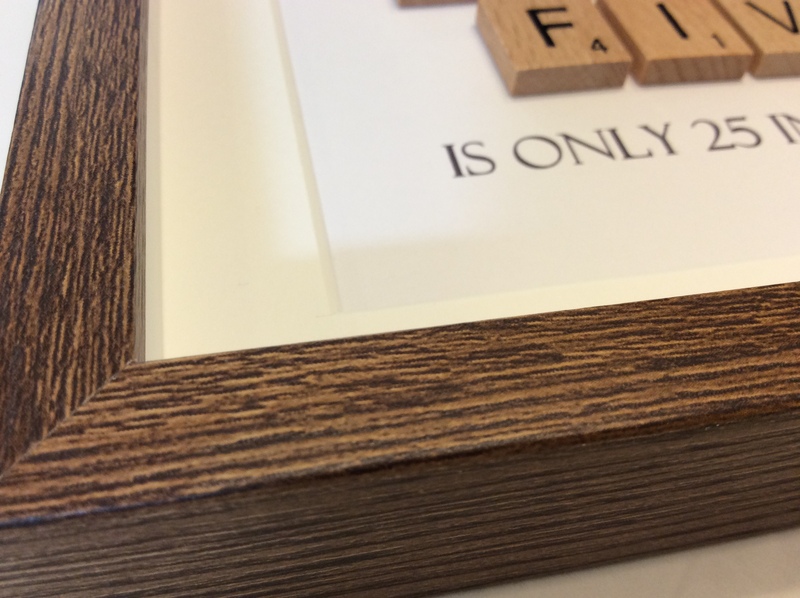 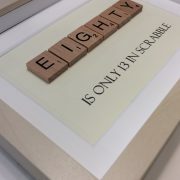 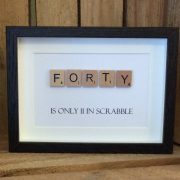 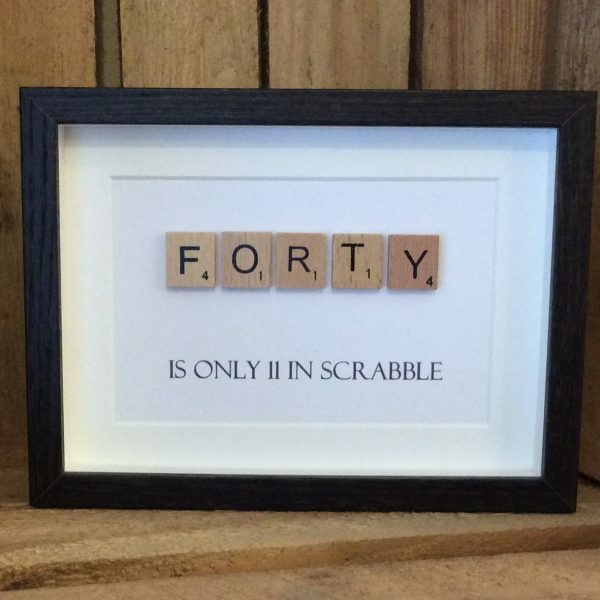 Each frame has scrabble letters spelling out the age then telling you how many those letters are worth in scrabble. 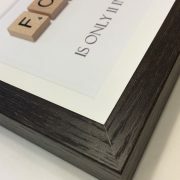 Please indicate in the drop down box what colour frame you prefer.